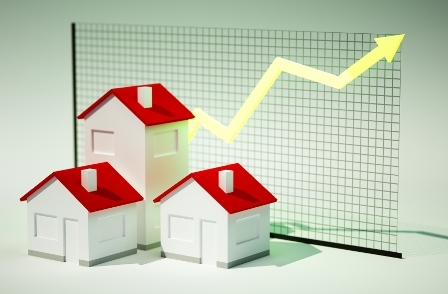 Mortgage rates rocketed in the week ending Feb. 8 despite some turbulence in the financial markets, according to the Primary Mortgage Market Survey released by Freddie Mac. The 30-year fixed mortgage rate rose to its highest mark since December 2016. It averaged 4.32%, with an average 0.6 point, up from the previous average of 4.22. The average rate also marks an increase from the year-ago period, which posted a 4.17% average. Rates for the 15-year fixed mortgage averaged 3.77%, with an average 0.5 point, rising from the 3.68% average in the previous period. Rates for the mortgage increased from the 3.39% average in the same week in 2017. The 5-year Treasury-indexed hybrid adjustable-rate mortgage (ARM) averaged 3.57%, with an average 0.4 point, climbing from the 3.53% average in the previous period. A year ago at this time, the 5-year ARM averaged 3.21%. Kiefer said it is too early to say if increasing rates will hinder the housing market’s momentum. However, initial readings show sustained momentum in housing markets so far, he said, noting that applications for purchase loans increased 8% year over year in the Weekly Mortgage Applications Survey released by the Mortgage Bankers Association.